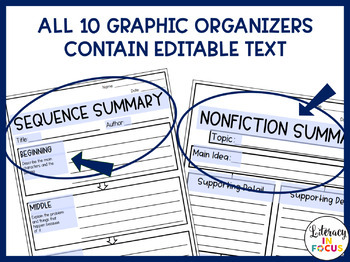 10 editable graphic organizers for summary writing! 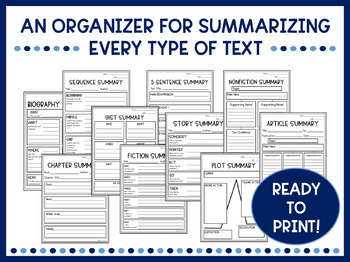 A graphic organizer for summarizing every type of text is included! Summary writing templates for use in your Google Classroom are also included! 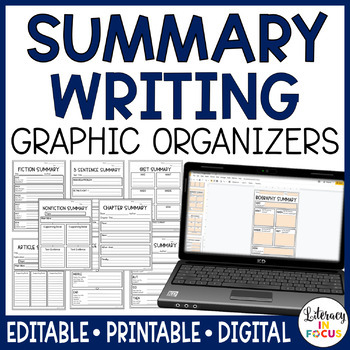 Make summary writing easier on you and your students with these printable, editable, and digital graphic organizers! This resource can be completed on paper or online with laptops, Chromebooks, tablets, or any device that supports Google Drive. 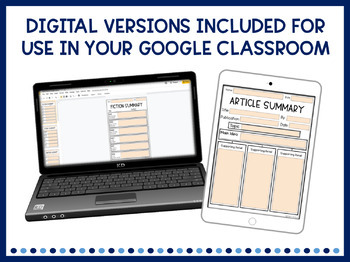 The included Teacher's Guide includes access to the link that will allow you to make your own copy of the resource for use in Google Classroom/Google Drive.